Then-candidate Donald Trump spoke at a campaign event in Rochester, N.H.
WASHINGTON — President Trump, returning to a state he last year referred to as a “drug-infested den,” is traveling to New Hampshire Monday with plans to announce a new policy on combating the opioid epidemic. His policy is expected to focus on cracking down on drug distribution — urging the Department of Justice to seek the death penalty for some drug traffickers — as well as on prevention and rehabilitation. His administration also aims to cut the number of opioid prescriptions by one-third over the next three years. Trump is expected to be joined on the trip by first lady Melania Trump, as well as Attorney General Jeff Sessions and several other Cabinet members. Trump is making the announcement during an afternoon event at Manchester Community College, returning for the first time as president to the state that delivered him his first big primary win and set him on his improbable pathway to the presidency. He often highlighted the opioid epidemic during his campaign there, expressing shock that a state with such beautiful scenery could be ravaged by a scourge of tragic drug-related death. At a recent rally, President Trump mused the United States should institute the death penalty for drug dealers. Yet long after talking about the national opioid crisis, Trump has been criticized for not making more concrete changes during the first 14 months of his presidency. He’s sent top advisers to hold listening tours and established a commission to study the problem, but so far little progress has been made in combating it. Trump on Monday is planning to call on Congress to pass legislation to make it easier to impose mandatory minimum sentences on those who distribute illegal opioids. His administration would also screen every federal inmate for opioid addiction at intake and would facilitate access to treatment services prior to and while at residential reentry centers. The administration has a goal of cutting nationwide opioid prescriptions by one-third over the next three years, according to Andrew Bremberg, the director of the White House’s Domestic Policy Council. New Hampshire is among the states most affected by opioids, ranking third per capita — behind West Virginia and Ohio — in deaths related to drug overdoses. Just after taking office, Trump referred to it as a “drug-infested den” during a phone call with Mexican President Enrique Peña Nieto. “I won New Hampshire because New Hampshire is a drug-infested den,” Trump said, according to a transcript of the call published by the Washington Post. After several years of large increases, the state’s drug overdose deaths were projected to stay the same from 2016 to 2017, according to data released in January by the New Hampshire Drug Monitoring Initiative. But admissions to treatment facilities increased by 28 percent and opioid-related emergency department visits increased by nearly 10 percent, according to the data. Nationally, more than 42,000 people died from opioids in 2016, which was more than any year and five times higher than what it was in 1999, according to data from the Centers for Disease Control and Prevention. About 40 percent of all opioid overdose deaths involved a prescription opioid. Trump launched the President’s Commission on Combating Drug Addiction and the Opioid Crisis last March. The panel, which included Massachusetts Governor Charlie Baker, issued recommendations in November. Some of the recommendations included a national campaign to draw awareness to the dangers of opioid abuse and to encourage addicts to seek treatment. The committee also sought more funding for states to address treatment and prevention programs. A two-year budget deal passed by Congress last month included $6 billion in new spending to address the opioid crisis, but some have called the figure woefully inadequate and are awaiting details on how the funds will be allocated. Trump in January said cryptically that he had an answer to the opioid problems. “I think I actually know the answer, but I’m not sure the country is ready for it yet,” he said, without elaborating. Over the past few weeks he started publicly suggesting that the answer includes harsher prosecution. He has pointed to foreign countries that have stringent sentencing requirements for drug traffickers. Singapore, for example, mandates the death penalty. He has also expressed admiration for the crackdown on drugs by President Rodrigo Duterte of the Philippines, a country that has seen allegations of widespread extrajudicial killings of drug dealers. Administration officials on Sunday evening would not elaborate on the types of cases in which the death penalty would be sought. “The Department of Justice will seek the death penalty against drug traffickers when it’s appropriate under current law,” Bremberg said. 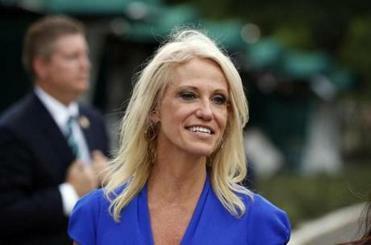 White House officials said that the four members of New Hampshire’s congressional delegation, all of them Democrats, were invited to the event but that none were expected to attend. Representative Carol Shea-Porter, who represents the district Trump will visit on Monday, had similar sentiments. “Granite Staters deserve more than just words and speeches from President Trump on the opioid crisis — we need action,” she said in a statement. Trump is also planning to stop at the Manchester Central Fire Station, attempting to highlight a program called Safe Station, which allows people to seek assistance in battling drug and alcohol addiction without fear of arrest. Trump has referenced the program in the past as a model. 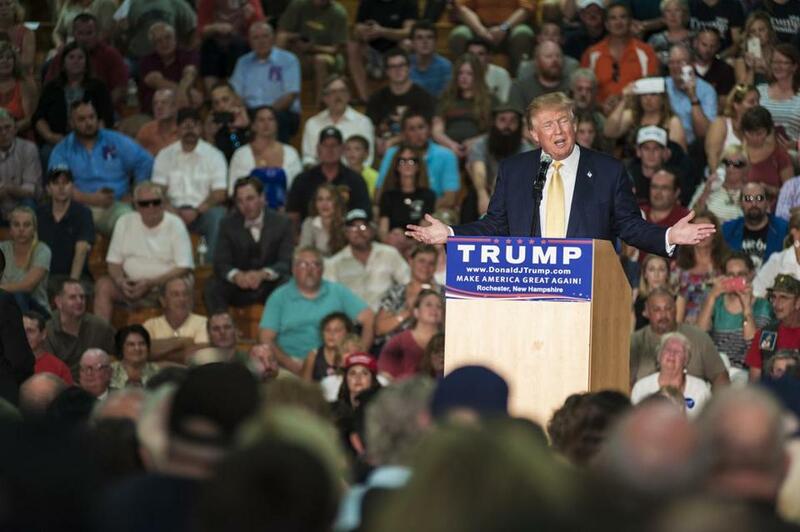 Trump was last in New Hampshire the night before the 2016 presidential election, for a rally at SNHU Arena in Manchester. He ended up losing the state narrowly to Hillary Clinton, which he blamed — without any supporting evidence — on Massachusetts residents being bused to vote in New Hampshire.